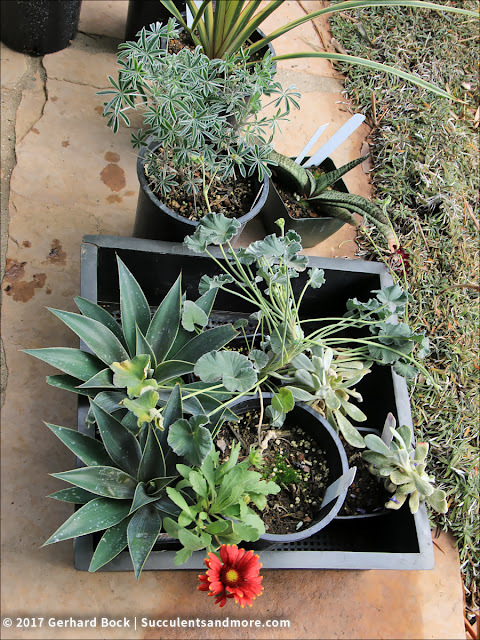 Succulents and More: More new plants, as if I needed them! Prepare yourselves for a shocking confession: I've never met a plant (sale) I don't like. OK, you're probably not all that surprised to hear that. After all, I regularly write about my plant sale escapades. The saga continued this past weekend. On Saturday, the UC Davis Arboretum held its final plant sale of the season. Traditionally, this is a clearance sale where all remaining plants are 10% off. This year they went all out and upped the discount to 25%—with Arboretum members getting an additional 10% off, for a total of 35%. To sweeten the deal even more, many plants were marked down to $6. 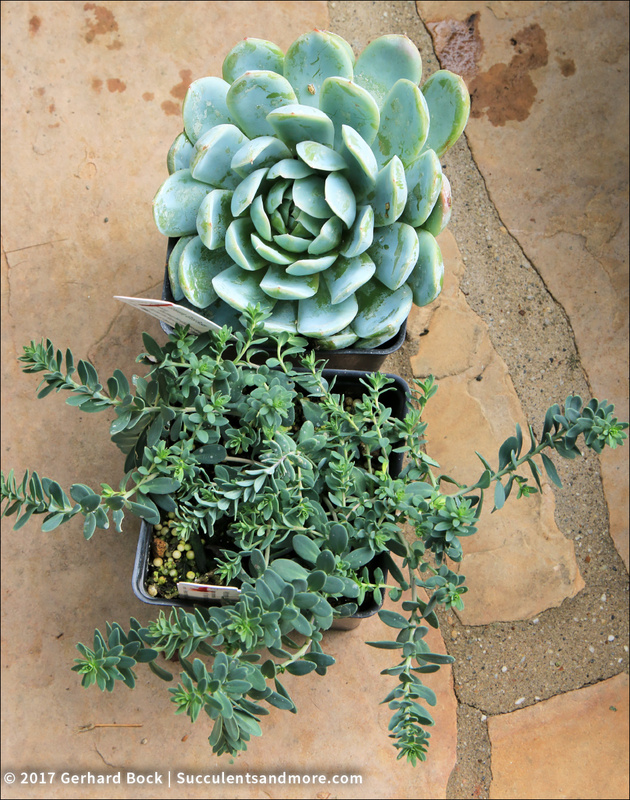 Take 35% off $6, and the final price for those plants was $3.90! Practically free! What could I do? I simply had to go. 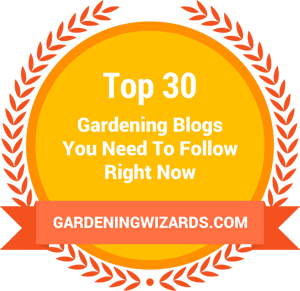 I met up with fellow blogger Kathy Stoner (click here to visit her blog GardenBook) and we spent a intensely focused hour and half on the very serious business of plant shopping. Both of us had gone through the inventory list ahead of time and marked plants of interest. That helped us shop efficiently and productively. A total of 14 plants for a little over $70. 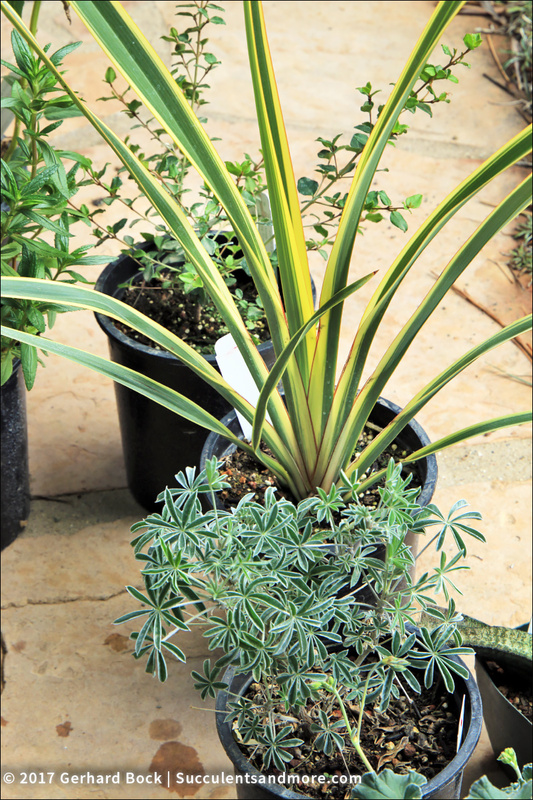 Phormium 'Duet', a dwarf New Zealand flax topping out at 2 ft. It hadn't been on my list, but at $3.90 I'm willing to give it a try. Garnet geranium (Pelargonium sidoides), a small perennial with silver-gray leaves and small garnet-colored flowers. I've wanted to try one for quiet a while. It's a good companion for aloes. 'Danielle's Dream' Mexican bush sage (Salvia leucantha 'Danielle's Dream'), a little more compact than the species and sporting pink flowers with white calyxes. Generally I'm not a big fan of pink flowers, but this is a truly exciting plant. × Mangave 'Lavender Lady' perennial mangave Up to 10"x16". Smoky purple basal leaves w burgandy dots and silver grey shades. Brown terminal spine on each leaf. Maturing ovate leaves lighten to green. Drought tol. Echeveria 'Ghost Buster' stonecrop Slow growing form with gorgeous pale alabaster foliage. WIll pup over time. Hardy to at least 25 F. Prefers some afternoon shade. Gaillardia x grandiflora 'Arizona Red Shades' blanket flower to 12". Daisy-like flws in shades of crimson, some w/yellow tips. Drought tolerant. Needs good drainage. Sun. Attracts butterflies, hummingbirds. 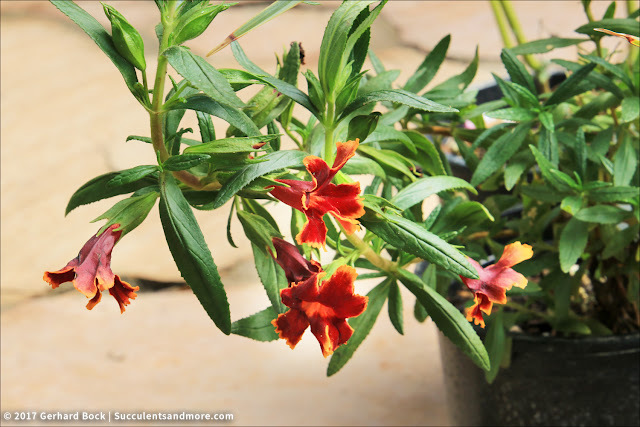 Mimulus 'Fiesta Marigold' Jelly Beans™ Fiesta Marigold Monkeyflower to 2'; upright rounded, compact. 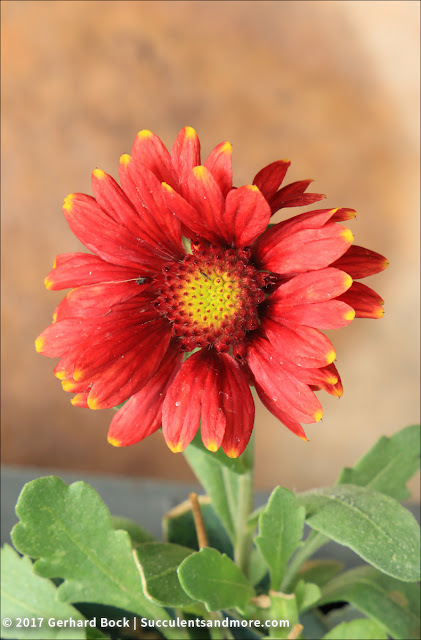 Large, ruffled red flowers w/light orange petal margins and tube. Drought tolerant. Pelargonium sidoides garnet geranium 8"; fls. stalks to 14", dk. velvety garnet fls. Salvia leucantha 'Danielle's Dream' Mexican bush sage 3'x4'. Pink flws within fuzzy white calyxes, fall. Sun. Drought tolerant. 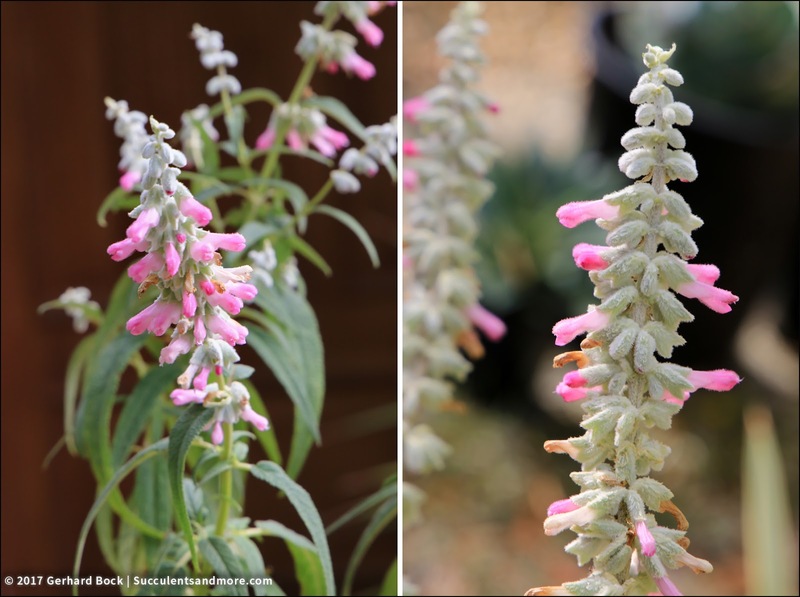 Sideritis cypria Cyprian woundwort 12” mound; fuzzy wht. lvs., sm. chartreuse fls. 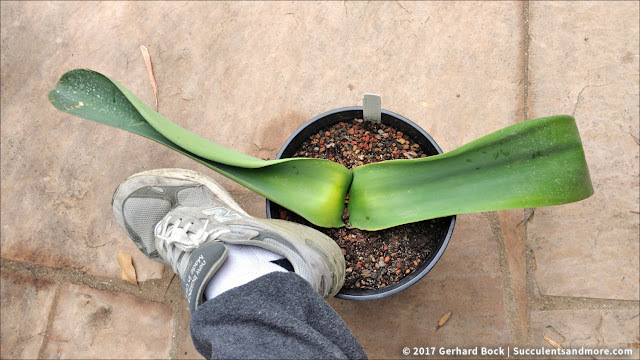 I also picked up a mature blood lily (Haemanthus coccineus) from the UC Davis Botanical Conservatory. This South African bulb, a member of the Amaryllis family, sends up brilliant orange-red flowers in late summer, followed by long (very long!) strappy leaves in the fall. The leaves start to die back in late spring and the plant goes dormant for the summer. Its white-flowering cousin Haemanthus albiflos is reasonably easy to track down, but Haemanthus coccineus is less common. 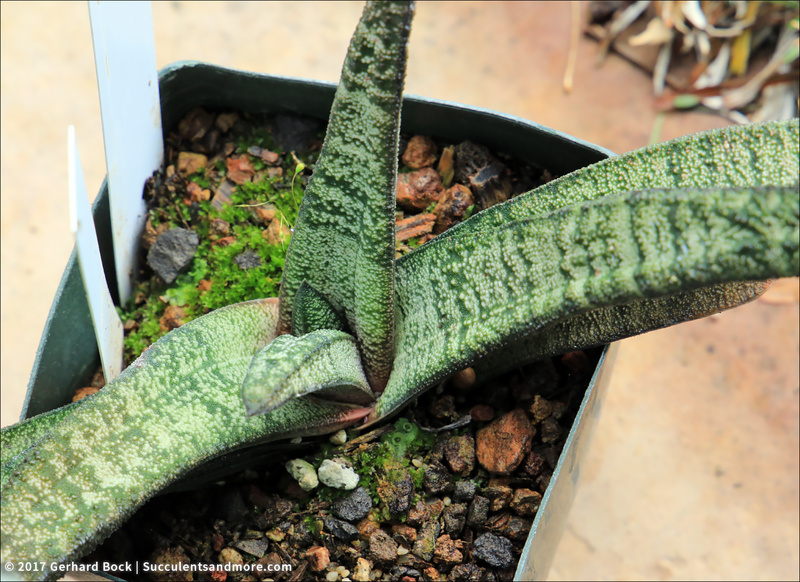 And mature plants of either species are a real find. My specimen came from a 25-year old colony on the UC Davis campus that was recently thinned out. I'm very excited although I'm not quite sure yet where I will plant it. As if that weren't enough, we're still not quite done. On Sunday morning I had to make a Lowe's run to buy my favorite succulent mix, which only Lowe's seems to carry in our area. 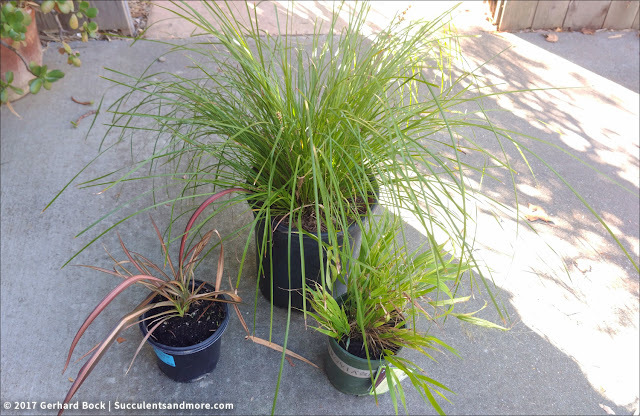 On my way to back of the garden center where the soil products are located I walked right by the plant clearance racks. Of course I had to check them over. And as if by magic, three plants flung themselves into my cart. They must have sensed that I have a good heart and wanted to come home with me. How could I resist? The fact that the were heavily discounted made it a no brainer. After reading this, I'm sure you have the same question I had this morning: Where will all these plants go? Well, I was a busy boy and got most of the plants in the ground. Some went in the backyard, some in the front. I'll post an update soon. What great deals! I've never seen that Correa but it looks like a beauty. I've killed that lupine 2x but I'm still tempted to try it again. I haven't tried Lupinus albifrons but I've killed every other lupine I've ever planted (there have been quite a few over the years). I still don't know what the secret is. I do give them excellent drainage. It's ironic that they grow so well along the freeway, yet in my garden they're so difficult! 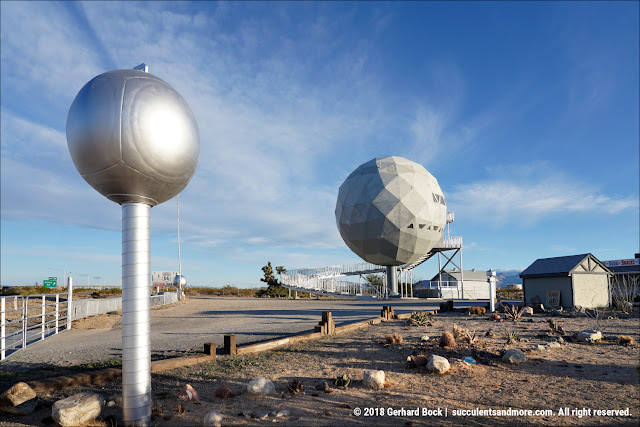 Oh man, if I were a landscape professional, I wouldn't be a able to control myself. Amazing! Not the plants -- the fact that you added so many more! ;) Some really nice ones there too. 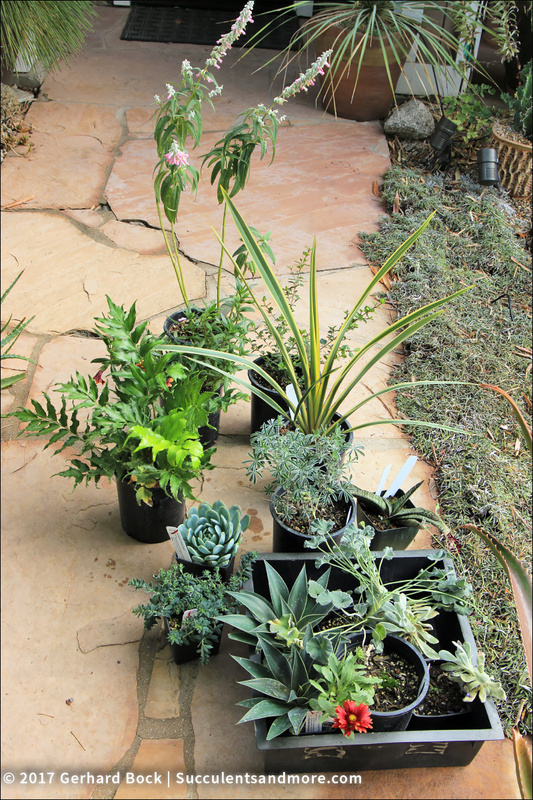 I've somehow been able to break the plant shopping addiction... maybe you need to move to a more wintry climate. Bringing dozens of pots inside every year seems to help. 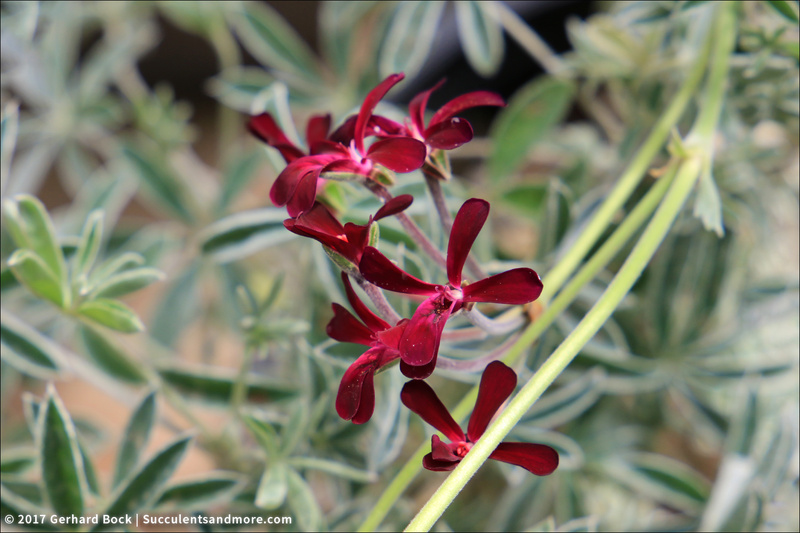 The pelargonium is the same one I got when I went with you, the gray leaves and dark red flowers are great. Good luck with the lupine, mine was growing and then...well, abruptly died...ugh. Just too hot I’m figuring. I’d like to try the Haemanthus too. Oh, where are you going to put the Correa? Sun or shade? I planted a Pink Eyre in a shady spot, and it hasn’t done much yet. I regretted not getting that pelargonium when you got yours so I was happy to see them marked down to $6 (and then 35% off that). I'm determined to crack the lupine secret! 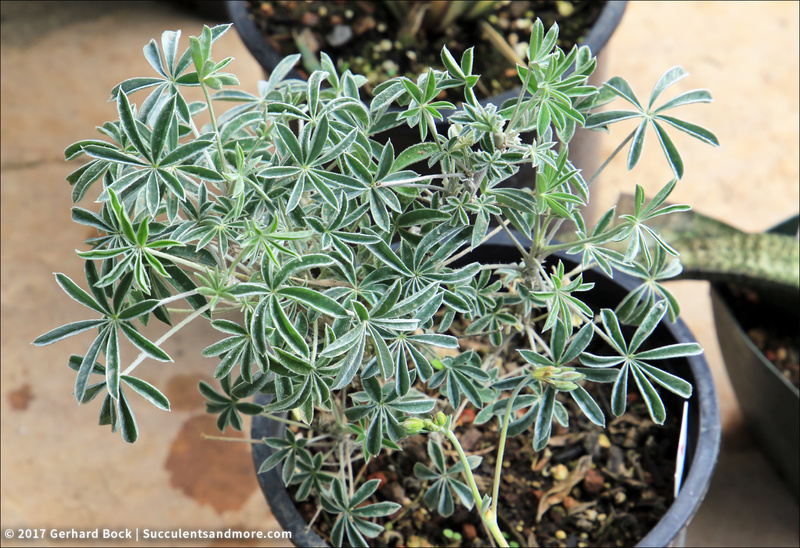 The silver foliage on L. albifrons is so beautiful, I want it to live where I planted it! The Correa 'Orange Flame' I got apparently grows well in the shade. It's on the UC Davis Arboretum's list of "(Almost) 50 greens for shade". Oh, those Mangave Lavender Lady! I'm very jealous of your lucky friend. I love my Pelargonium sidoides, and it's very easy to take cuttings from. Good to know that cuttings from P. sidoides root well. I may just do that next spring. I've kept it alive in our school's succulent garden, planted into a mound of pure fines. Eventually I removed it because it got too big for the space, but it was ok with the twice a month watering in the summer. The secret is "drainage, drainage, drainage!" I planted my new Lupinus albifrons next to the Bambusa oldhamii on a mound with freely draining soil. Let's see how it goes :-). With discounts like that you had no choice but to shop! Good shopping! At those prices, how could you not?